When I was in kindergarten, I would never have imagined my teacher having a thought about me after the 3:20 bell. She had better things to do. Whatever grown-ups did when they drove away in their cars, she did that. And I was gone from her mind until Bluebirds Story Circle the next day. I had almost graduated from college before I discovered I may have been wrong. I learned this by being a student teacher in a kindergarten classroom. Ms. Kepper loved her students — our students. We talked about them incessantly. “Chad hugged me today. He’s beginning to trust.” It was a revelation to me how much her students meant to her. Jesus reveals how much we matter in this huge universe. We could get lost in here. It’s so big and, what’s worse, we’re sinners. We wandered off. How could we mean anything to the world’s Creator? But we are thought of, fretted over, cheered for. We are wanted; we have been from all eternity. And when someone pleads to be forgiven, all heaven breaks loose. 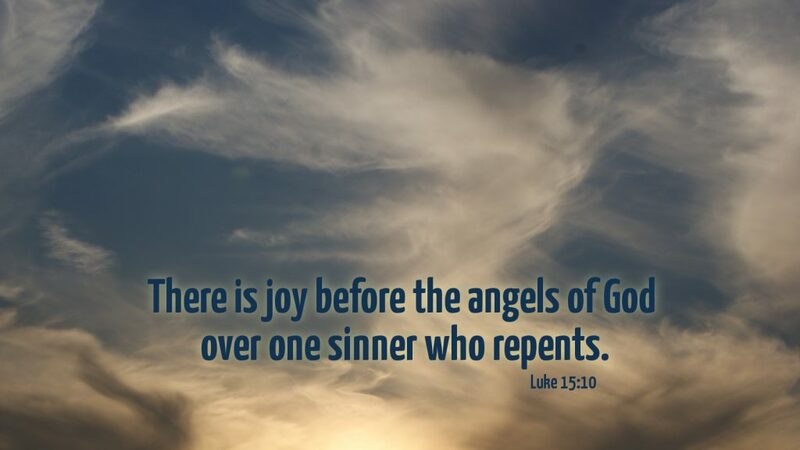 For “there is joy before the angels of God over one sinner who repents” (Luke 15:10). Prayer: Dear Jesus, by your death, you made my life matter. Amen. Today’s devotion was written by Gary Blobaum, Pastor of Immanuel Lutheran Church, in Sumter, SC.